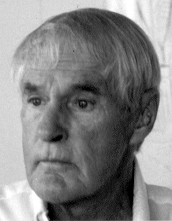 Timothy Francis Leary, (October 22, 1920 – May 31, 1996) was an American writer and psychologist from Springfield, Massachusetts. He is seen as a modern pioneer. He was in favor of research on psychedelic drugs and their use. He was one of the first people whose remains have been sent into space. As an icon of the counterculture of the 1960s, he is most famous as a person who stood in for the therapeutic and spiritual benefits of using LSD. He coined and popularized the catch phrase "Turn on, tune in, drop out." Leary died of prostate cancer. This page was last changed on 26 May 2013, at 02:37.